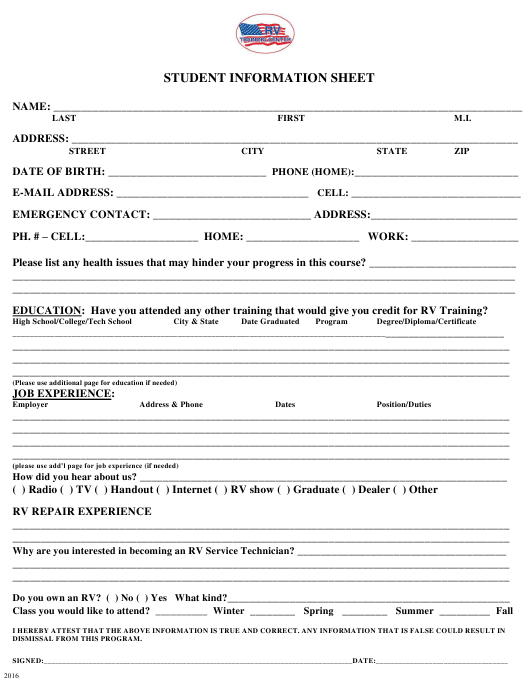 EDUCATION: Have you attended any other training that would give you credit for RV Training? Why are you interested in becoming an RV Service Technician? Do you own an RV? ( ) No ( ) Yes What kind?